Signs posted for “Food Corner Kabob House” in a Ballston apartment building. 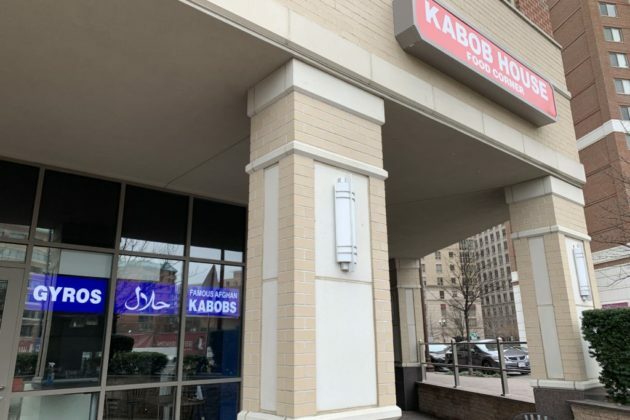 A local kabob chain appears to be opening a new location in the base of a Ballston apartment building. Signs posted at the space at 933 N. Quincy Street indicate that “Food Corner Kabob House” will soon open its doors in the area. 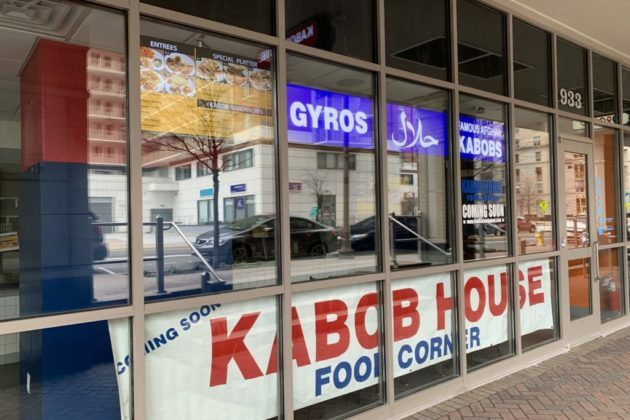 Banners promise both gyros and “famous Afghan kabobs” will be offered at the new eatery. Food Corner also operates locations in Annandale, Centreville, Vienna, Springfield and Dupont Circle, according to its website. The space, located on the ground floor of the Quincy Plaza Apartment building, hasn’t been especially kind to restaurants over the last few years. The Lebanese restaurant Badaro shuttered there in November after roughly a year in business. A NKD Pizza location there also closed in May 2017.